Product placement best practices gives your patrons easy access to Ask a Librarian. 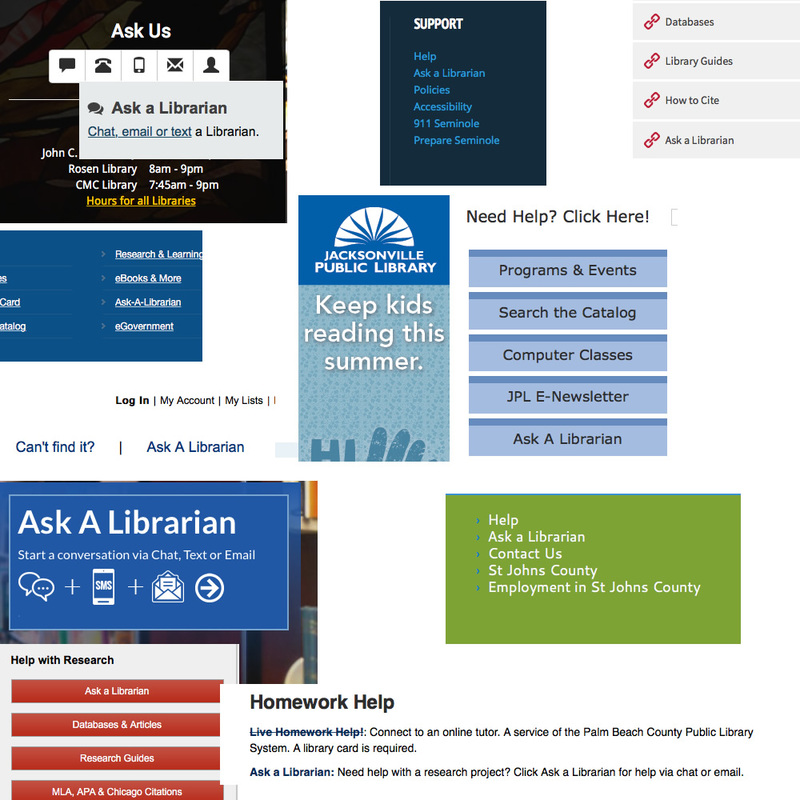 Here are some examples of libraries that have increased their patron’s use of Ask a Librarian with excellent product placement of widgets and/or links to their Ask a Librarian local page. Let patrons get reference help from any location in your library website by placing a link to your Ask a Librarian local page in a page header, footer, or column.